November 15th is National Philanthropy Day, just in time for the holidays. 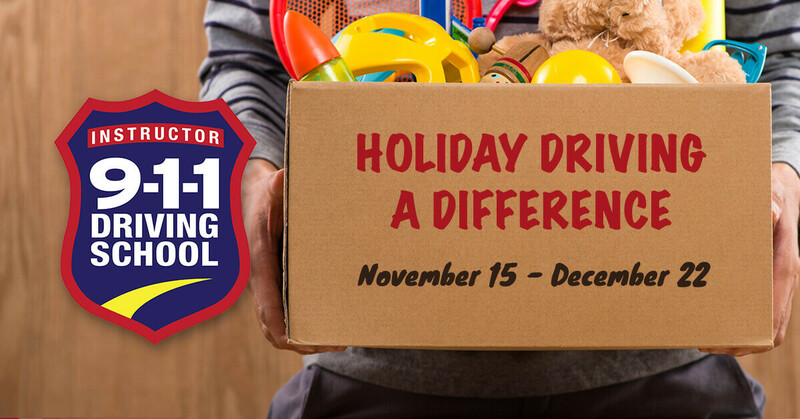 Since everyone starts getting into a giving spirit during the holidays, 911 Driving School is excited to get in the giving spirit too. The way we plan to give back to the communities we love so much, we are working with our franchises to do a donation drive from November 15 to December 22. Our teachers and staff will be ready and willing to accept all donations to deliver to a local children’s hospital, senior living facility, veteran’s hospital, or another non-profit organization. If you are interested in donating, you can drop off items at the Marysville 911 Driving School location. We hope that everyone in the community can get involved and help us give back to those most in need around us. Just make sure you drop them off by December 22.